Located off Lewisburg Pike near Eastem Flank Battle Park, Heath Place Subdivision is a single-family home development in Franklin TN (Williamson County). Popular streets in Heath Place Subdivision include Brandon Drive, Cabot Drive, Carnton Lane, Holmes Circle, and Kinnard Drive. 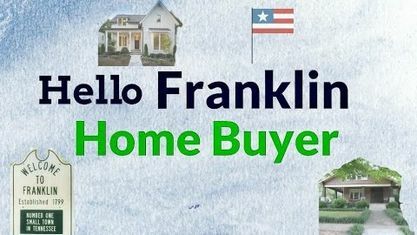 Other popular Franklin Subdivisions near Heath Place Subdivision include Battle Ground Park Subdivision, Battlefield Subdivision, Burghley Place Subdivision, Charlton Green Subdivision, Dallas Downs Subdivision, Downtown Franklin, Highland Gardens Subdivision, Hunters Chase Subdivision, Polk Place Subdivision, Sturbridge Pointe Subdivision, Tap Root Hills Subdivision, and Yorktown Subdivision. View our selection of available properties in the Heath Place Subdivision area. Get to know Heath Place Subdivision better with our featured images and videos.